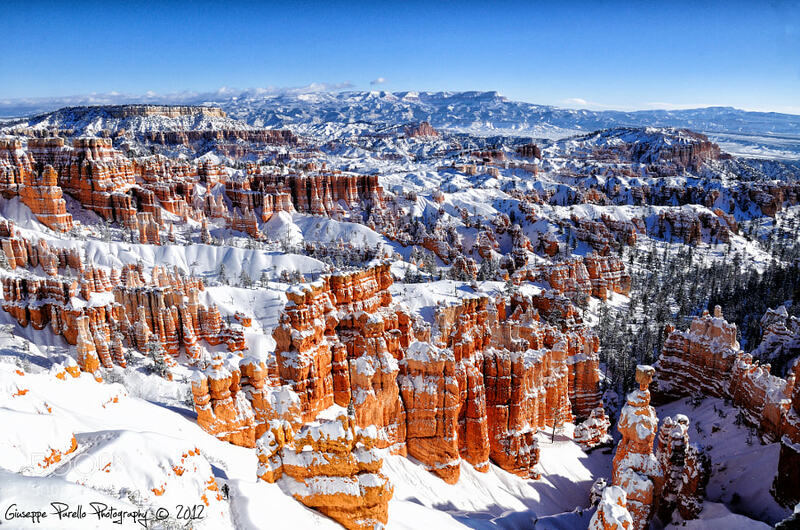 Stumbled upon this photo today of a white capped Bryce Canyon National Park. It’s times like these where we have been living through winter for a few months and we’re just about done with snow. We’re ready to take that plunge, make that dive, embrace all that is summer. Yes I know that is where we all are, but before we just full board into spring fever may we take a few moments to relish how beautiful winter can be? I know and understand it’s a lot to ask, but is it becomes less hard when you see an image like this.